The HYDAC BF filter series is a tank breather filter. It has a flow capacity up to 11,000 l/min. 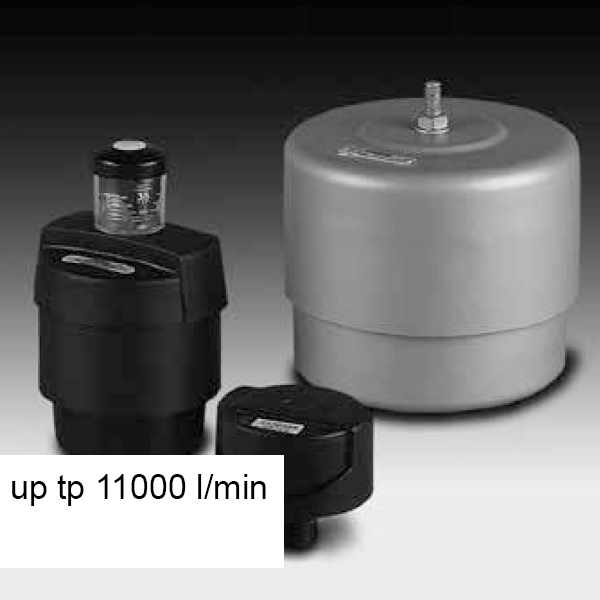 The breather filter sizes 4, 10, 3 and 30 consist of a housing screwed onto the oil tank and a built-in filter element. On the other hand, sizes 5, 52, 7 and 72 have housings screwed onto the oil tank and have one or two exchangeable filter element(s). BF 5 and 52 are fitted with a built-in oil mist trap as standard. Finally, sizes 8 and 9 consist of a flange for mounting to the tank, an exchangeable element and a cap. The BF 9 also has an oil mist trap which allows the oil to be drained via an oil drain plug.